Exciting news! 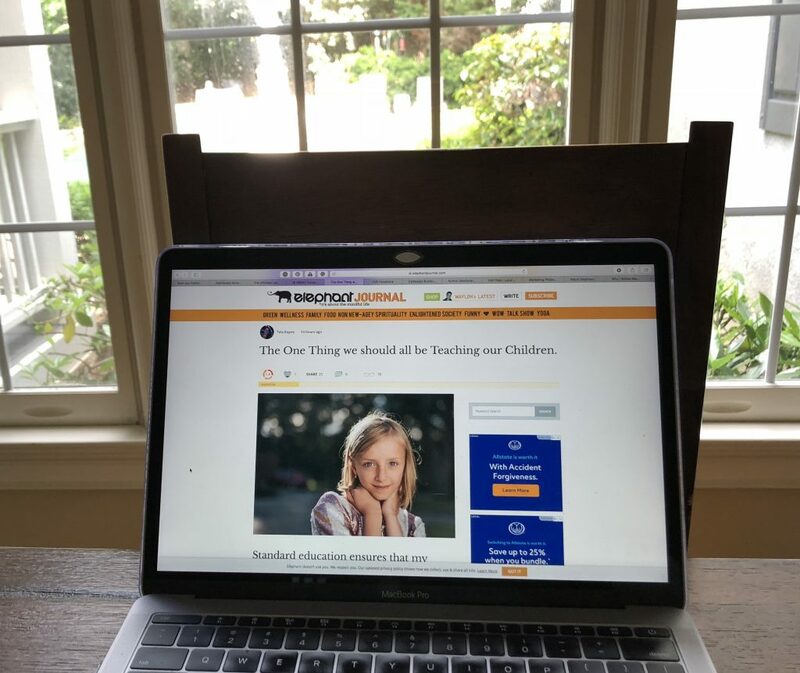 Our message of teaching children to be mindful is spreading far and wide, thanks to the help of Elephant Journal who recently featured my article, “The One Thing we should all be Teaching our Children.” Elephant Journal is indie media and community driven. They feature respectful dialogue, and grassroots responsibility – all great messages and in line with what LaLa’s World is all about! The article offers five methods parents can use to teach kids the importance of staying present including the coin flip method that’s presented in my first children’s book, “LaLa Feels Blah-La.” Please click, like and share it. Let’s all work together to encourage mindfulness in kids and help them learn how to be the change! About Elephant Journal: It’s about the mindful life! Elephant Journal is your guide to what we like to call the mindful life: yoga, organics, sustainability, genuine spirituality, conscious consumerism, fair fashion, the contemplative arts…anything that helps us to live a good life that also happens to be good for others, and our planet.